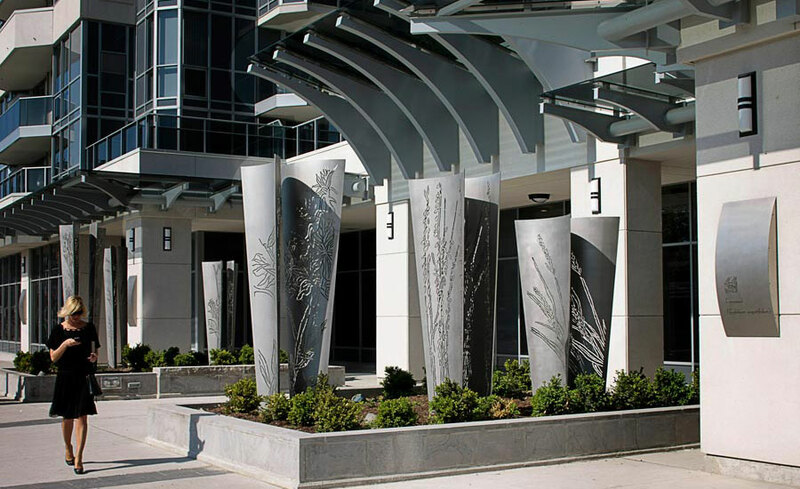 This multi-​component artwork is integrated into the landscape design and façade of the building. 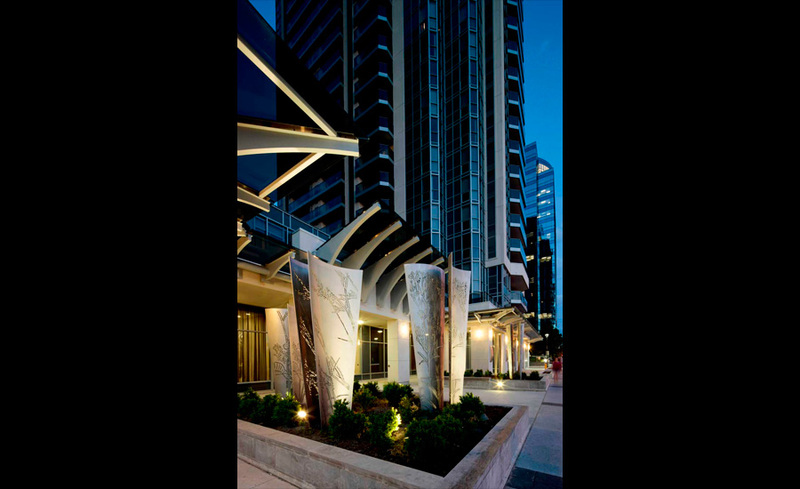 The artwork components situated within the planter elements frame the main entrance and provide an elegant and sophisticated address. 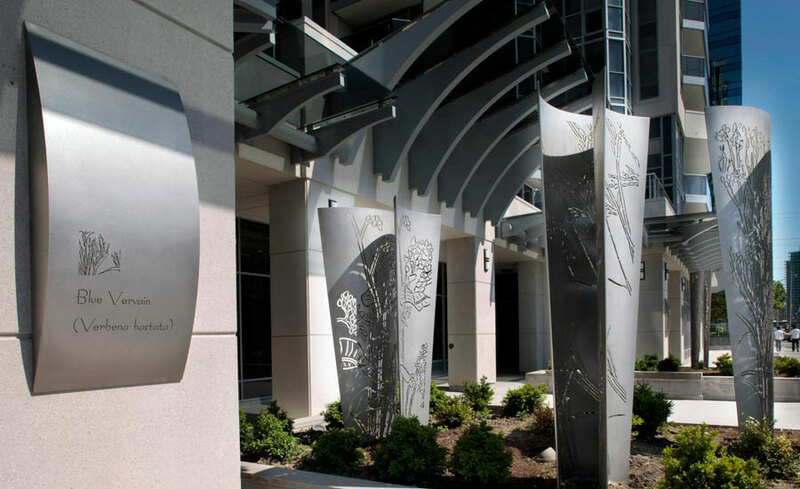 The rhythmic lighting components of the artwork complement the building façade and extend the artwork across the project site as a means of engaging building residents and pedestrians. “Brad benefits from his architectural background, bringing intelligence and creativity to directing the public art process.